Here at Mary McDowell Friends School, we are proud to be known for our academically rigorous program and our supportive community. We are one of New York City’s leading schools for students with learning disabilities, cultivating global citizenship and finding the brilliance within each of our students. We first opened our doors in 1984 when a group of parents, special education professionals, and community members came together to meet the needs of elementary-age children with learning disabilities in Brooklyn and lower Manhattan. Our first class began with just five students, and today we have 398 students in kindergarten through twelfth grade in three buildings. As our guiding principle, we believe that all of our students can learn when given the attention and specialized resources they need. Our college preparatory program is rich, supportive, and challenging. Quaker values and traditions are at the heart of our approach to education. We recognize that each student has important contributions to make, and strive to foster those gifts in everything we do. Our efforts extend beyond the classroom, incorporating the visual and performing arts, athletic teams, field studies programs, cross-cultural travel, and community service. We have a phrase that sums up our approach to educating children with learning disabilities: “Revealing Brilliance.” You can learn more about what we mean by this phrase below. Every day I have the joy of witnessing the dramatic impact of our program on the lives of our students and their families. We hope you will visit us to see for yourself what makes students at Mary McDowell Friends School thrive! You may have noticed the phrase “Revealing Brilliance” that is a part of Mary McDowell Friends School’s logo and that appears on our printed materials. What does Revealing Brilliance mean? It means that our students come to Mary McDowell Friends School (MMFS) with their own individual skills, talents, and abilities. Through differentiated instruction, the commitment of our highly skilled teachers and support staff, and the rigorous academics we offer, our students succeed in school. At MMFS every learner shines. We support our students to grow and to find their innate gifts and “inner light.” We provide them with opportunities to reach their full potential by understanding how they learn, drawing on their strengths, and encouraging them to meet their challenges. 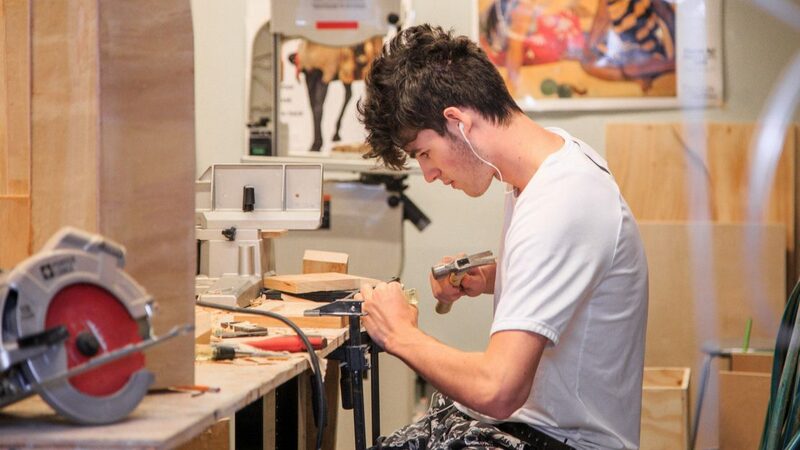 Our students work hard at academics, the arts, and athletics so their many talents can emerge. When families start at MMFS, they often ask, “Can my child gain the skills needed for college?” Even parents of the very youngest children ask this question. The answer is yes! When children come to MMFS, they are welcomed into a brighter future. From our youngest students through our twelfth graders, our students come to understand how they learn best, how to self-advocate, and how to challenge themselves. We equip them with the tools they need to thrive. Mary McDowell Friends School graduates succeed at some of the nation’s top colleges and universities. A few forge fulfilling career paths through hands-on programs that provide important life-skills. The MMFS experience empowers students to take an active role in learning at every level – lower, middle and upper school, college, and beyond. Students build a foundation at MMFS that will support them long after they’ve graduated.